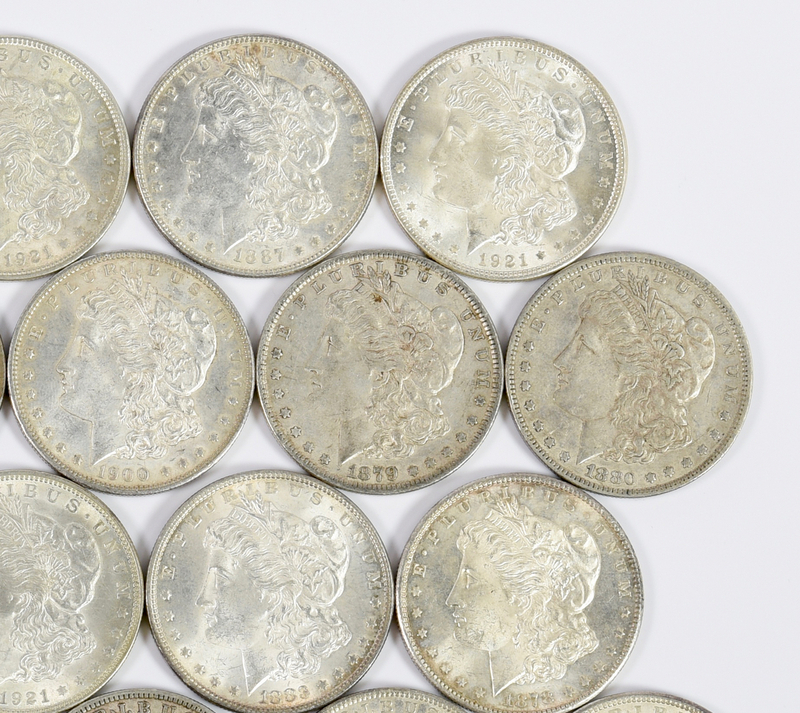 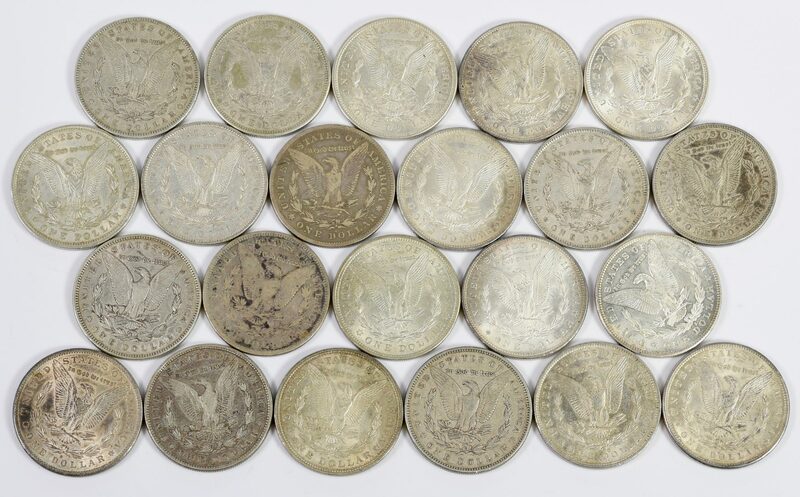 1st group: 22 Morgan silver Wreath Dollars, two 1878, two 1879, one 1880, three 1881, two 1883, one 1886, two 1887, one 1897, two 1900, six 1921, 18.845 oz troy. 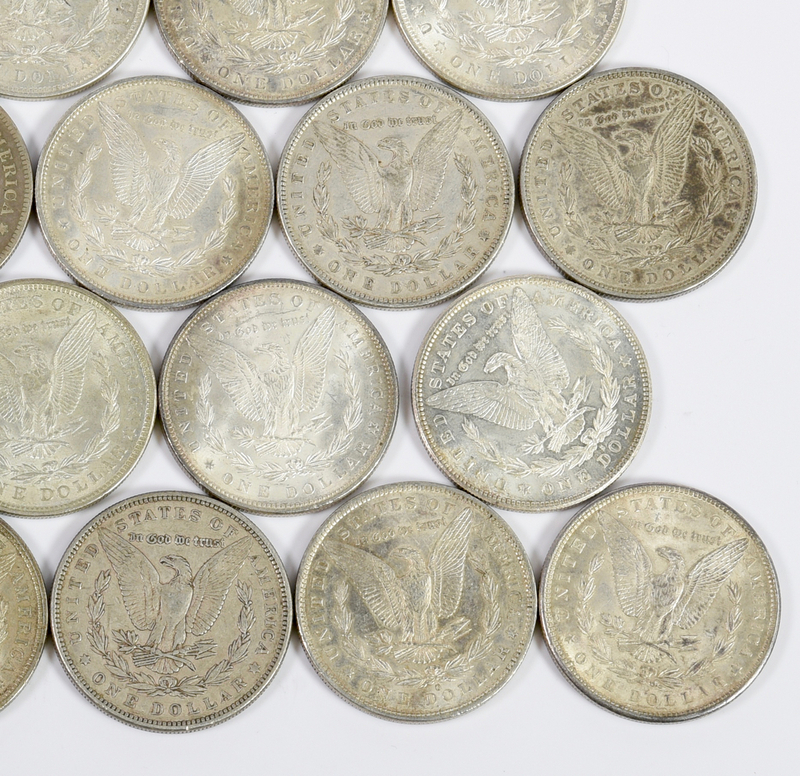 2nd group: 3 Peace silver Dollars, two 1922, one 1923, 2.575 oz troy. 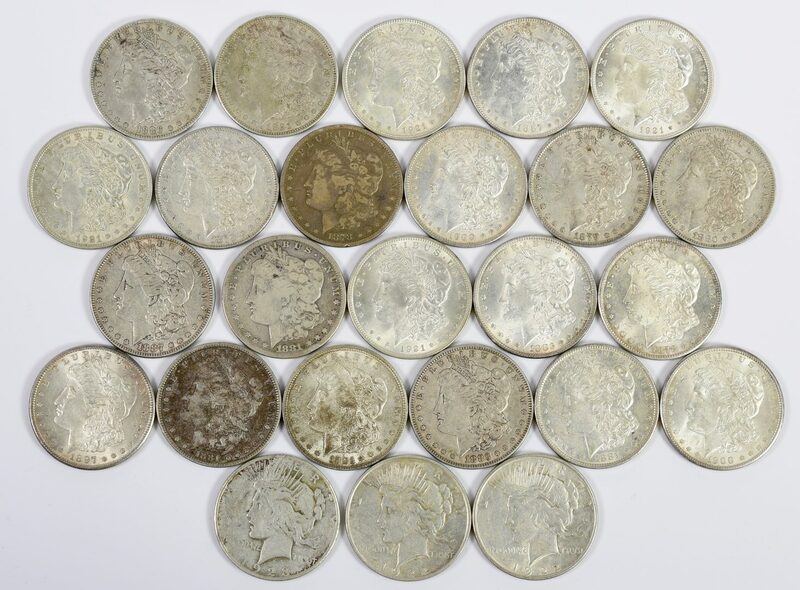 21.42 total oz troy for all 25 coins. CONDITION: All coins in circulated condition.